Decisions have been made. Plans set into motion. Contracts signed. 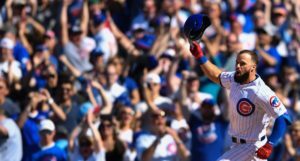 I recognize the reality of where things stand right now with respect to Addison Russell and the Cubs, and outside the small chance they decide to release him for (relatively minimal) termination pay or find a trade partner for him, the soon-to-be-25-year-old middle infielder will be part of the team when his suspension ends in early May. That suspension, to which he agreed, came under MLB’s joint domestic violence policy, and is one of the longest ever handed down by the league. 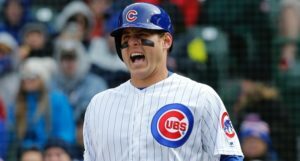 Those facts alone make his return to the Cubs unpalatable to many fans, and it only gets worse when you read about the alleged behavior that underlies the suspension. But this is the route the Cubs opted to take when they tendered Russell a contract for 2019 back in November, and then avoided arbitration by signing a deal last week. Even in a tight-payroll situation, the Cubs apparently believe sufficiently in Russell’s unrealized offensive upside that they have deemed him worth both the unsavory position of employing him and also the up-to $3.4 million he’ll be paid in 2019. Maybe the Cubs will be right. Maybe Russell will finally break out at the plate, and, more importantly, will demonstrate that he’s completely turned his life around and is contributing in a very positive way to the cause of domestic violence treatment and prevention. I don’t know which is less likely, but I will concede that each thing is possible. As I look at the still-sizable free agent crop, though, I can’t help but wonder something I didn’t when thinking about the roster earlier in the offseason: what if the Cubs had decided to bring in a similar shortstop on a short-term deal? That is to say, early in the offseason, when we had some measure of believe that the Cubs would move on from Russell, most speculation centered on a loaded second base free agent class, from which the Cubs could pluck a player and permanently install Javy Baez at shortstop. Having signed Daniel Descalso to be a second-base-heavy utility guy, though – oh, and without significant payroll flexibility – that thinking went by the wayside. But for the $3.4 million the Cubs have committed to Russell in 2019, could they instead have brought in a similar player in free agency? Remarkably similar profiles, right? Each of the trio is light on the bat, superlative with the glove. 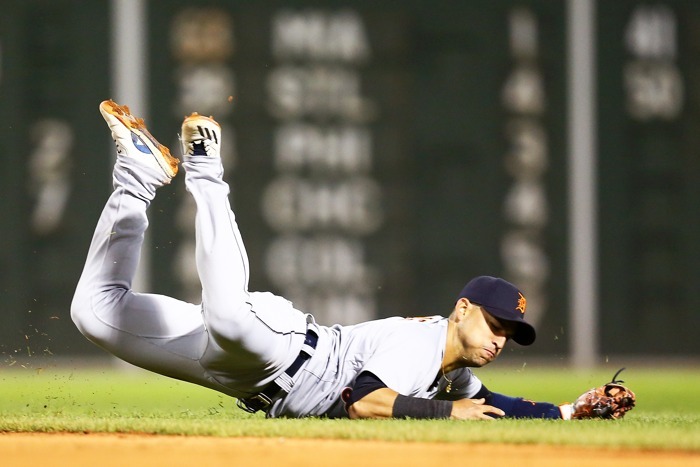 Russell likely offers the best bat, while Iglesias offers the best glove. Galvis is probably somewhere in the middle. 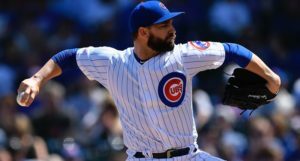 For all we know, this was under consideration back in November, but the timing just wasn’t right to get a deal nailed down, so the Cubs tendered Russell. The market has likely changed quite a bit since then for free agents in the Iglesias/Galvis tier, and maybe what seems rational now would have seemed crazy back then (though anticipating these movements is part of the job). The other big caveat here is that, if the market hasn’t changed, then a guy like Iglesias could wind up getting a lot more than Russell in 2019 – he was projected by FanGraphs to land a two or three-year deal at the outset of the winter, worth anywhere from $6 to $9 million per year. If money is tight for the Cubs, and if Iglesias’s market hasn’t cratered, then there’s a really significant difference there. In any case, this is not something we’d teed up in the past, and, with Russell’s contract now in place for 2019, I thought it worth at least mentioning as a route the Cubs could have opted to take. Well, strictly speaking, it is still a route they could take.